On a day where one show jump down could have be the difference between a medal and dropping outside of the top ten Great Britain’s brilliance on the final day was rewarded with a team gold, individual gold and individual bronze medal. 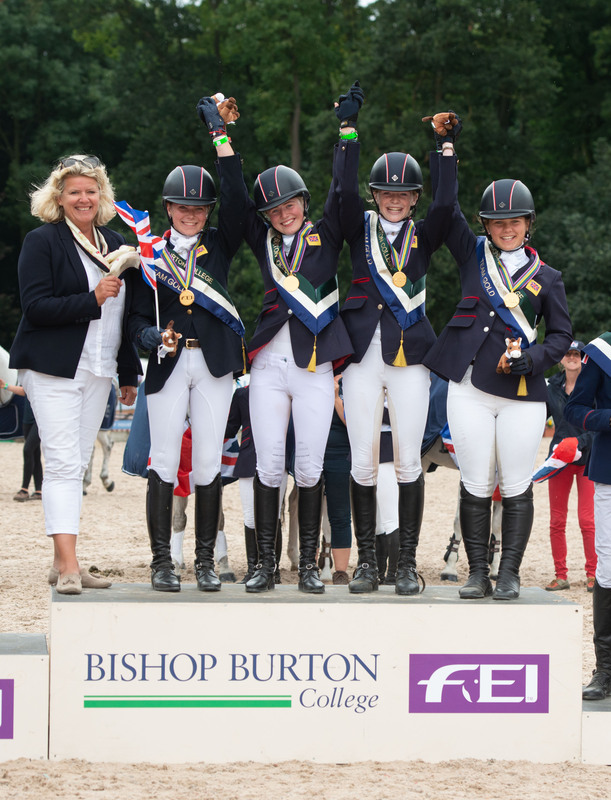 Last year it was double silver for the GB Charles Owen squad but immaculate clear rounds from Saffie Osborne and Daisy Proctor helped to secure the team gold this year along with their individual gold and bronze medals respectively. Going into the final day Great Britain had just a 2.5 penalty advantage over team Ireland and first into the arena for GB, Ellie Healy and Midnight Dancer II added eight jumping and one time fault to their score to maintain the pressure in the team competition. 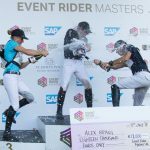 As poles fell throughout the afternoon the leader board changed with each rider and Ellie moved up one place to finish in eventual 27th at her first European Championships. 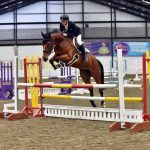 Next up for the team, Hattie Grace had a really unlucky pole down on Vincent Jones and Simon Grace’s Noble Superman to add four faults to their score, completing on a total of 40.8 for 15th place individually. 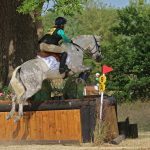 With two riders left to go for the GB Charles Owen team there had also been faults incurred by both the Irish and French teams but that did little to create any breathing space for the British riders still to jump. Entering the arena in fifth place, a superb clear round from Daisy Proctor and Holiday Chase put the pressure on both the teams behind GB and individuals ahead of her. After a clear round from fourth placed Sophie Foyle and Little Miss Fernhill for Ireland, there were faults from Ireland’s Chloe Fagan – who went in with the individual silver in her sights – and Sophia Rossel for Germany, who was in the bronze position, which gave way for Daisy take the individual bronze medal finishing on a total of 32.2 penalties. Breath held and tension high, Saffie Osborne now had one fence in hand to take the individual and team gold medal for Great Britain on Lord and Lady Blyth’s indomitable Little Indian Feather. The silence briefly broken by a slip of the commentators mic letting out a gasp from the judge’s box as Saffie headed for the final two fences, then an eruption from the crowd as the fence in hand wasn’t required thanks to a brilliantly ridden clear round, securing both the team and individual gold medal to upgrade her 2017 double silver medal haul. 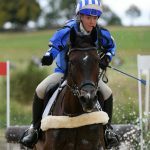 With GB completing on a total of 101 penalties, the team standings remained as they had after the cross country as Ireland took silver with 107.5 and France bronze on 108.5. Earlier in the proceedings, individual rider Connie Gill gave GB their first clear round and certainly confidence within the team of how it could be done. With nothing to add to her score, Connie and Movie Star II finished on their dressage score of 34.2 to jump from 11th after cross country to eighth place individually. Fellow individual rider Georgia King and the evergreen Drop the Subject, owned by Anya Kolleth, picked up eight jumping and two time faults to finish on a score of 47.4, which put them just outside the top 20 in 21st place overall.